PIC-117 This is a non-mechanical SPST (single pole single throw) relay switch which does not have any moving mechanical part. The switch requires only a minimum of 3.3V 5mA to activate the AC switch. 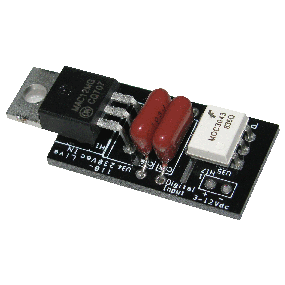 Digital input voltage can range from 3.3V-12V, which is suitable to be controlled by a microcontroller’s low voltage output. Ultra mini size (40 x 16.5 x 12mm), takes up less space. No spark generated. (Less hazard to a harsh environment, less interference). The AC switch is suitable for 110Vac-230Vac operation. 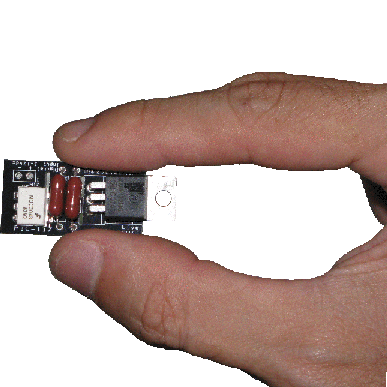 Compare to a mechanical relay, which requires a typical trigger input of 5-24V 30-150mA. Mechanical relay for high voltage/current operation will result in arcing, which can weld the contact, forming a permanent joint after long use. This may result in operation failure. The AC switch is made of semiconductor material and will not have such issues; it does not have any mechanical part. The AC switch will switch during the zero crossing, therefore minimise suddenly surge/spark upon switching on. Please contact us for further inquiries or requirements. We modify or customise the module to your specification. 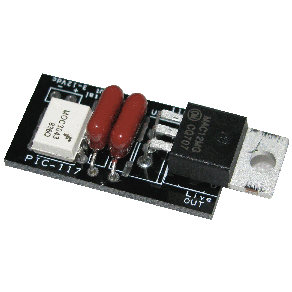 You can also buy PIC-117 Mini Solid State AC Switch from our online store.